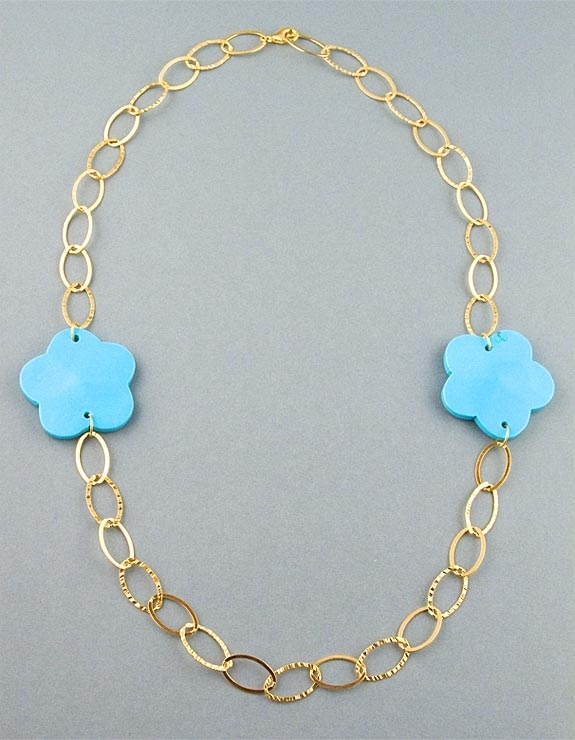 Turquoise flower necklace by Paula Rosellini. 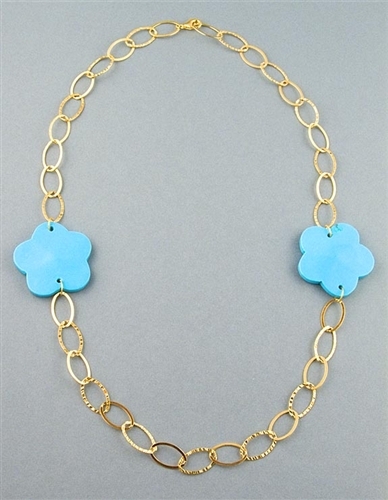 This elegant designer necklace features two 30mm turquoise flowers set on a large link sterling silver chain, 18k gold plated. Chain has a unique combination of one high gloss large link and one diamond cut textured link. Necklace measures 62cm (24.3") in total length and fastens with a sterling silver lobster clasp.